$350 [Includes $25 lab fee] class limit 18. Feb 8, 9, 10, 2019 (Fri, Sat, Sun 10am-4pm). These garter-stitch-based fingerless mitts are a marvel of flowing textures, colour-work, and edge treatments. It is easy to fit these mitts to the hands of any child or adult. Students often comment that this is the first fingerless mitt that really fits. They are knit flat in garter stitch, with designs around the wrist and a nearly invisible side seam that is knit, not sewn. Any mitt can become cuffs by eliminating the thumb and shortening the hand and arm; these cuffs can even become sweater cuffs. Less than one skein of DK or light worsted weight yarn will make a pair of mitts, or several pairs of shorter cuffs. Working on these friendly projects will keep you in that space of knitterly peace. Students will learn thumb shaping (the result can become a fox finger puppet). This workshop is suitable for those with basic skills as well as advanced knitters. Students must know how to slip a stitch purl-wise or knit-wise, pick up and restore a dropped stitch as a knit or a purl, and wrap and turn for a short row. All mitts begin with Judy Becker’s marvelous Magic Cast-On (JMCO), if you can learn it ahead of time you will have a head start. Cat Bordhi is known for her inventive, playful, and fresh contributions to hand-knitting technique and design. She began sharing her pioneering sock architectures and techniques in a series of books and videos in 2001. Cat introduced Moebius knitting with the 70 mesmerizing designs in her two Treasuries of Magical Knitting. Her other books include Versatildes: A New Landscape for Knitters and The Art of Felfs—Felted Footwear for Families (which has raised over $72,000 to support cancer research). She also wrote an award-winning novel, Treasure Forest. 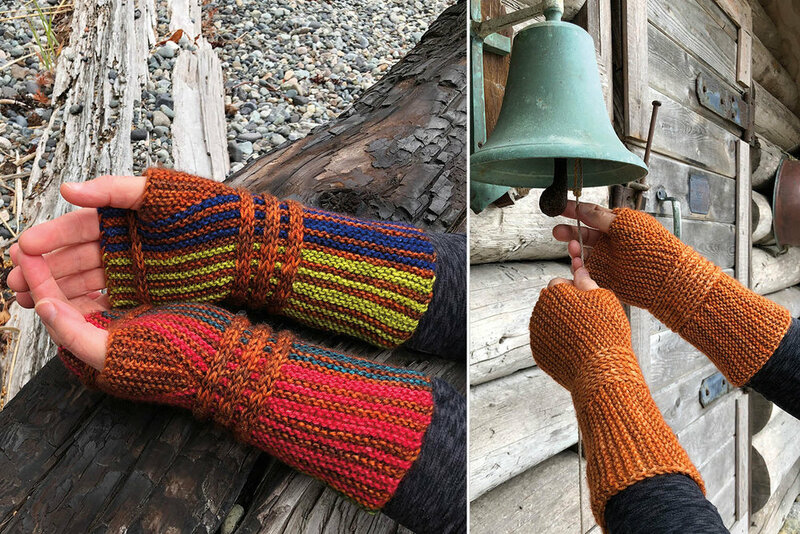 Currently she is working on three books, one on fingerless mitts, another on MoMo Cowls (a leap forward in Moebius design), and the third on portable pockets.